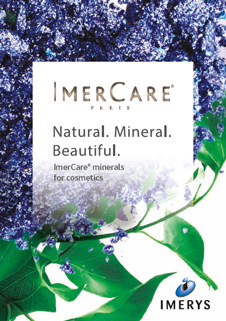 ImerCare® 270P-Scrub engineered, medium-grind, perlite is a natural exfoliant. ImerCare® 270P-Scrub has been developed as an eco-friendly alternative to polyethylene beads in scrub applications. It stimulates cell renewal by reducing the thickness of the top layer of skin cells. 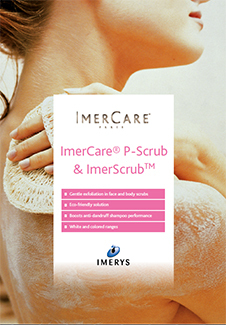 Used regularly, ImerCare® 270P-Scrub results in smoother, healthier, glowing skin. It is ideal for use in face and body applications, such as exfoliating shower gels. 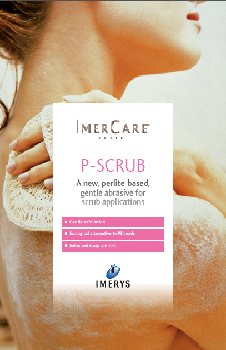 ImerCare® 270P-Scrub exfoliant is specifically heat-treated to control microbial organisms and Cosmos approved.